Women maize farmers in India are benefiting from technology-enabled market systems. 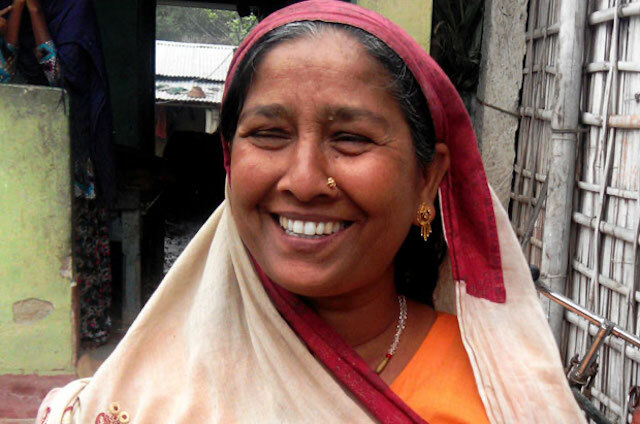 For Shakila Khatun, it was a novelty to have someone come to her very doorstep, equipped with moisture meters and electronic weighing scales, to buy her maize crop. Living in Purnia district in the maize belt of Bihar, India, this experience was one of many firsts for Shakila during the winter crop season of 2015. A member of the Annapurna Producer Group, a group of all women maize farmers, Shakila participated in a pioneering TechnoServe project this year. The project helped member farmers leverage an electronic trading platform to sell produce directly to national buyers, resulting in additional income and bargaining power. Maize is the primary cash crop for farmers in Purnia, which has the highest productivity in India during the winter season. 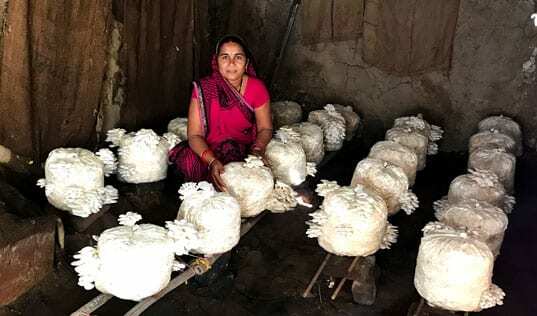 While farmers in this region produce enough maize to sell nearly 90 percent of their yield, most of them are small-scale and marginal farmers with limited access to the large markets in India known as mandis. 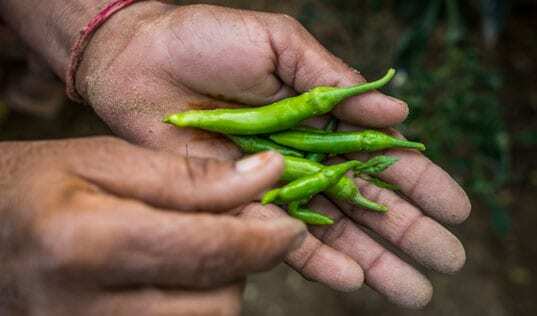 Thus, Shakila and her fellow farmers have traditionally depended on an unorganized network of intermediaries for the sale of their produce, resulting in a significantly reduced final price. 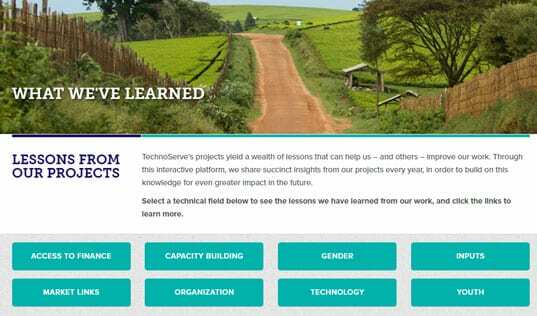 TechnoServe launched a year-long pilot project in December 2014, aimed at strengthening the state’s effort to support women farmers through the formation of producer groups. With funding from the Bill & Melinda Gates Foundation, the project is engaged in building capacity within the World Bank-funded Bihar Rural Livelihoods Promotion society (JEEViKA), providing technical assistance to producer groups and developing a multi-year roadmap to strengthen the broader producer group ecosystem in the state. At its core, the pilot aims to demonstrate increased returns for farmers through crop aggregation and collective marketing. TechnoServe advised the Aryanyak Agri Producer Company Limited (AAPCL) – a federation of producer groups that includes the Annapurna Producer Group – to adopt an aggregation and market linkage business model that eliminates the multiple layers of intermediaries and ensures higher prices for the farmers. In order to minimize risk, TechnoServe facilitated a partnership with an online commodity exchange, NCDEX e Markets Limited (NeML), to sell the maize on an electronic platform. The pilot is bringing about a paradigm shift in maize marketing and is changing attitudes and habits in the region. By June, AAPCL was able to procure 1014 metric tons of maize from 299 farmers across 10 producer groups, well above the target of 800 metric tons. Thanks to direct electronic access to institutional buyers, elimination of intermediaries, and transparent weighing and grading practices, the groups saw a 11.5 percent increase in price for their maize. Meanwhile, local collection agents – who buy the balance of maize that is not sold to the producer company – are changing their business practices to become more transparent, and are starting to offer farmers higher prices. For Shakila Khatun and her associates in the Annapurna Producer Group, the season represents a fresh trajectory in their farming lives. The success of the pilot has built a sense of ownership for the women. They are now proud members of the producer groups and have started recommending the model to fellow farmers. Read our case study about creating technology-enabled inclusive markets in Bihar, India.